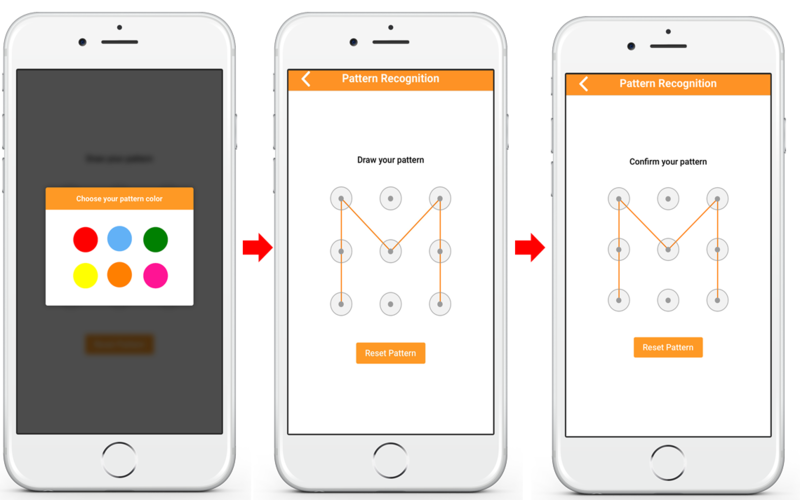 Pattern Recognition can be used as a security mechanism to unlock Android, iPhone and Windows mobile phones. Of the many unlock systems used, pattern unlock is one of the creative, good in design and rich in technology methods. 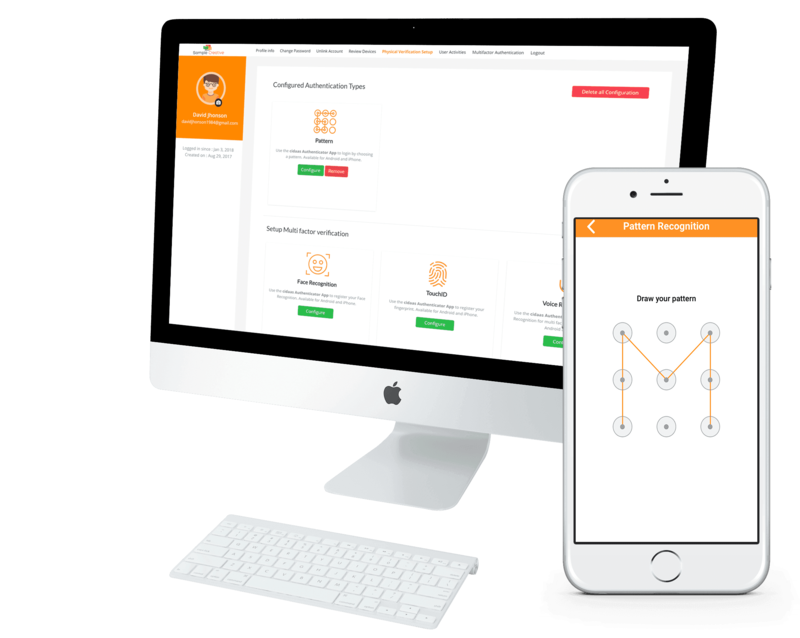 How cidaas makes use of Pattern Recognition for Multifactor Authentication? 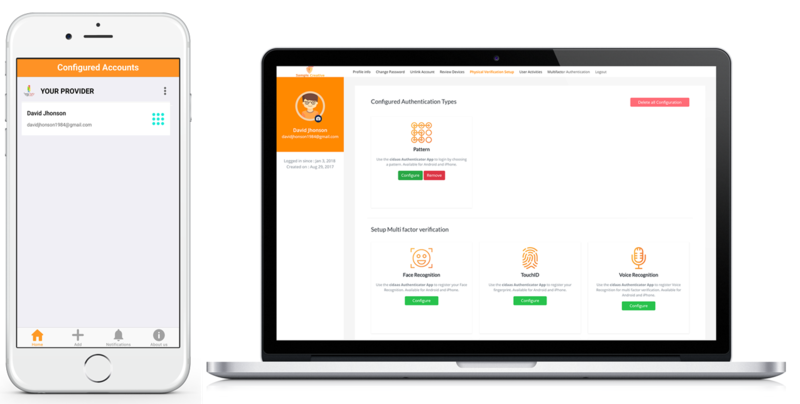 Pattern Recognition is one of the Authentication types cidaas uses to authenticate users through Authenticator application. 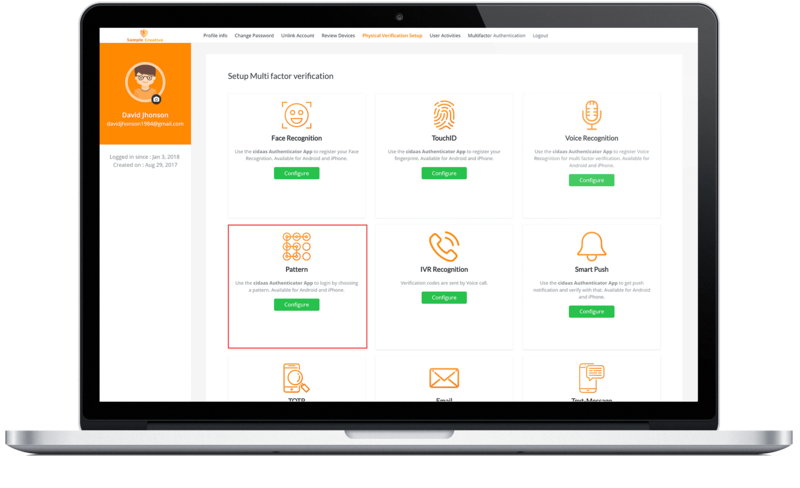 As a prerequisite, the admin must enable the Multifactor authentication settings in the admin dashboard -make sure Pattern Recognition is enabled here. 2) Configure the Pattern method as shown in the flow below: Where the user can set the pattern by first choosing a color and then user has to confirm the pattern. 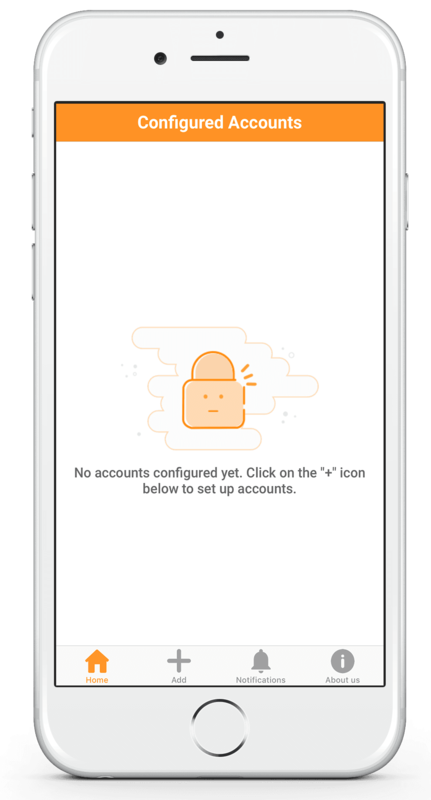 This pattern data will be sent to server for further processing along with the device-ID and the FCM token of the Smartphone. 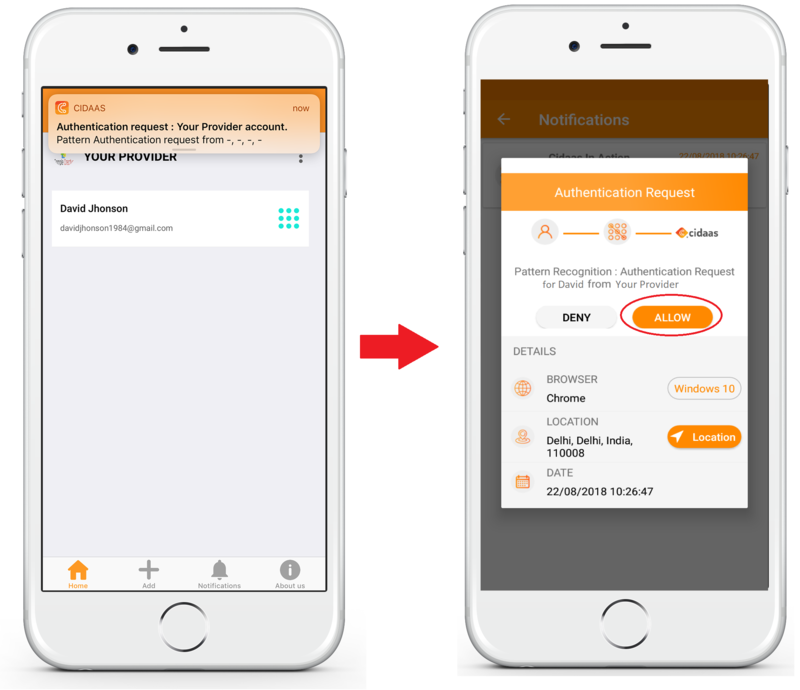 4) When the user logs-in to the web portal/ any other service, he will get a notification to use his pattern. 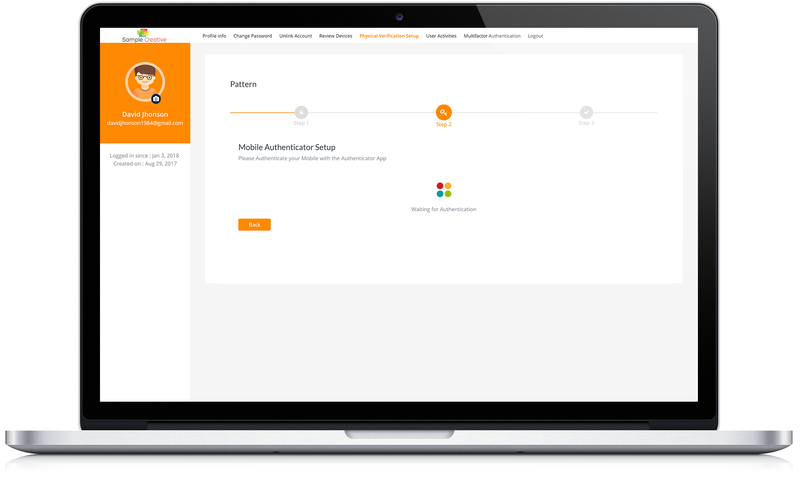 Only if this matches with the originally configured data -stored in cidaas server, will the user be successfully authenticated. 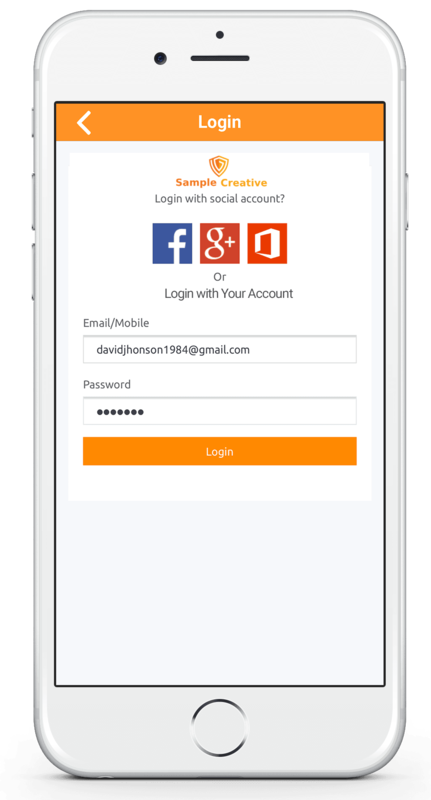 Once a Pattern is configured, during each subsequent login to the web portal, the user gets a push notification on his phone. On clicking this, user has to enter the valid pattern. This is sent and verified with the configured info on the server. 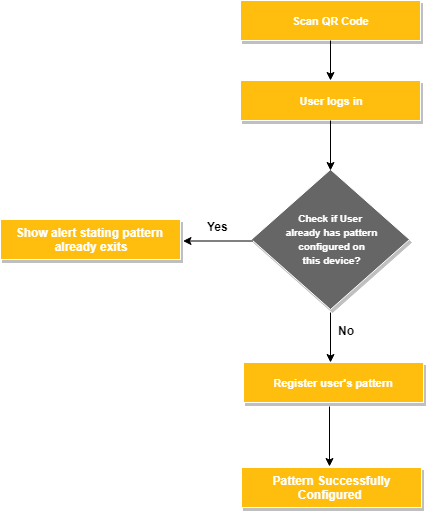 If these match, the user is successfully logged in (see flow below). 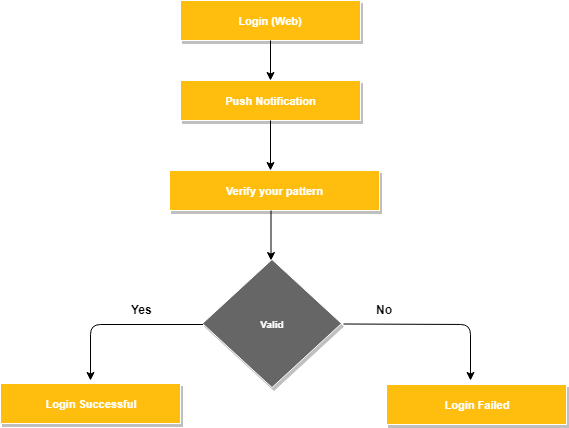 If the user fails to enter the valid pattern, log-in fails. 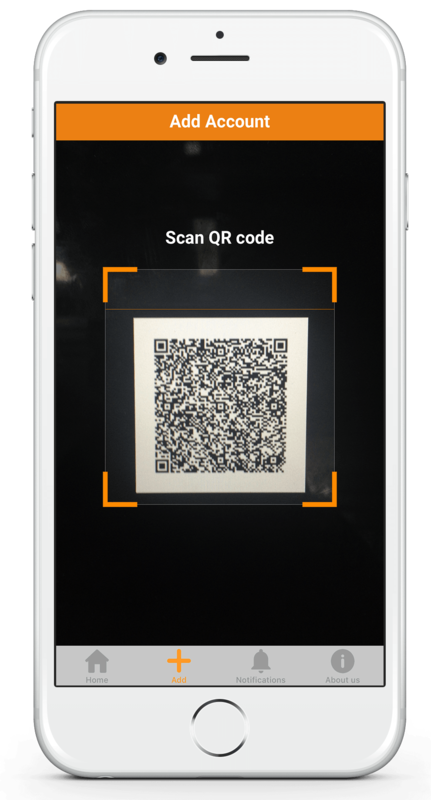 Below screenshots are from cidaas authenticator application (Pattern Recognition). 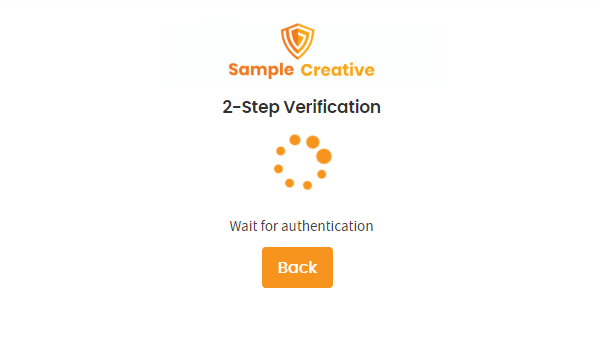 On your dashboard page, go to Physical Verification Setup and select Configure button under the Pattern (cidaas authenticator app) option. At the same time, in your desktop, the loading screen appears and waiting for authentication. 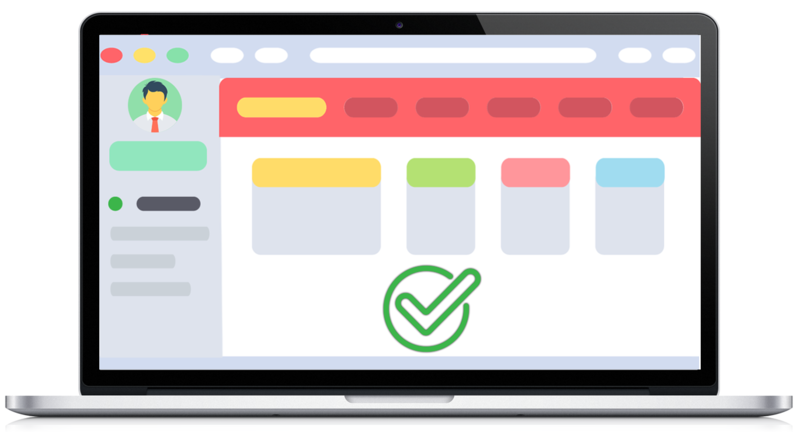 Once logged in, you need to enter the pattern verification. Choose your pattern colour. Then draw your pattern and confirm the pattern again. Now the pattern recognition is successfully configured. Then, your app and your desktop screen will look like this. The screen is in wait mode. 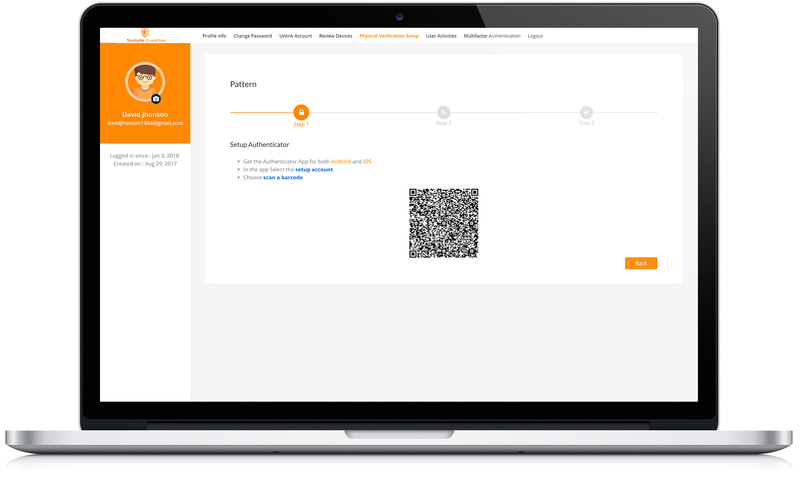 Now, you can see the pattern verification screen. Choose the pattern colour, you already registered during configuration and draw your pattern. Only if both match, can you login.